Heavy Rain and Japan’s Default | Think the Unthinkable Future. This week, Japanese media have been focusing on catastrophe caused by lasting heavy rain. Even though it had been terribly hot in this year’s summer, the climate was suddenly changed into autumn. Everybody became aware of the fact that something is wrong with the climate due to unknown reasons. The point is the Japanese still seem to believe that this is just an adventitious phenomenon and have originally nothing to do with what’s been going on in the Japanese society. Nevertheless, this is not the case. Make sure Japan has been controlled by traditional arcanum based on Yin-Yang philosophy from the ancient time. Of course, our modern political system is driven by democracy and liberalism, which never allow these ambiguous thoughts to come in Japanese society’s front stage. However, this is not the proof for that Japan’s still dependent on legacy of arcanum. Now, you must wonder what it is. It is gestures of the Japanese imperial house that matter. Why? 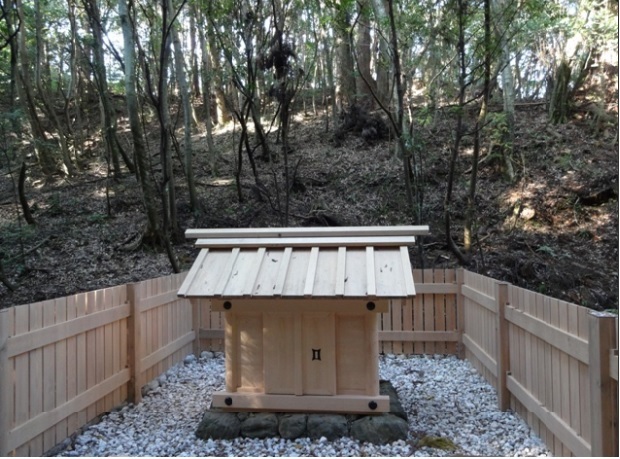 Recently, we experienced installations of deities in new shrines both in ISE and IZUMO, where two of the most important shrines in the Japanese Shintoism are located. And in ISE, the transfer of tiny shrines was conducted, while the prioritization among gods was changed from the god of “fire” to another of “water”. The public concentrated rather on transfer of bigger and much more famous shrines with glaring celebration. However, the true shrines’ transfer, or “SENGU” were done without such a dramatized celebration. Why from “fire” to “water”? By doing so, the Japanese imperial house declares to the whole world that a period of “liquidity” has just begun. In this regard, “liquidity” includes both water and money. According to the Japanese imperial arcanum, a period of “liquidity” is interpreted as a season when so much “liquidity” are to be poured into the human society. That means, from the viewpoint of natural phenomena, it begins to rain heavily one after another, while the economy enjoys a series of “quantitative easing (QE)”. Both of them will cause “floods”, as we just experienced the one in Japan these days. A flood in the economy simply means our human society is to stand on the edge. Without boosting the economy by either grand wars or unprecedented innovations, our economy will be forced to face hyperinflation sooner or later. That will destruct everything without any exception, while something new will finally start to grow up. In terms of another leading shrine, or “IZUMO TAISHA”, another arcanum covers. It’s strictly forbidden to explain to you as outsiders what it truly is. I’m terribly sorry. What I can tell you is only the fact that the combination of these two shrines’ transfers does indicate what future is waiting for us. Don’t forget it. Japan remains an enigma because it’s reigned outside the conventional framework of western style. The Japanese imperial house never gives us detailed explanation on such a arcanum. Instead of doing so expressis verbis, the house always tries to makes us feel and understand the “right” direction of the human society. Well, this is Japan, my mother country. Such an approach to political, economic, cultural and natural phenomena is perfectly in line with the traditional knowledge (or the so called “sacred science”). Do not assume, though, that it has completely disappeared from what can be described “lato sensu” as the Western world: it is still in place, indeed, even if well under the surface. P.S. Your blog is extremely interesting. Thank you, and greetings from Italy.